Tax Deducted at Source (TDS) under the Income Tax Act has undergone wide-ranging changes in the last decade. One of them was the introduction of rule – TDS on the sale of properties under Section 194IA. Under this provision, TDS must be deducted at 1 percent of the total consideration. This rule has been effective since July 1, 2013 and applies to any person making payment on the purchase of immovable property where the total consideration is more than Rs 50 lakhs. While this rule has been in existence for a long time now, taxpayers continue to face hardship in understanding and complying with these provisions. The responsibility to deduct and deposit the TDS is of the buyer of the property. Although Central Board of Direct Taxes (CBDT) has been persistent in clarifying the procedures to follow, individuals are yet to fully understand compliance of the law. Let’s understand these common issues and their resolutions. It is wrong to assume that TDS must be deducted on the portion of consideration that exceeds Rs 50 lakhs. Law states that the TDS of 1 percent must be applied to the entire consideration amount where the total consideration exceeds Rs 50 lakhs. This is a common question that gets asked. TDS is deducted at the time of credit to seller’s account or on payment of the first installment to the seller, whichever is earlier. Further, where the payment is being made through the bank as a loan disbursement, the buyer must ensure to give standing instructions to the bank to deduct TDS from the total amount, while making the transfer. Several buyers fail to intimate the bank on this aspect and later face repercussions. If the buyer does not do this, relevant penalties may apply. The TDS amount that is deducted must be deposited with the government within a period of seven days from the end of the month in which the deduction is made. Otherwise, interest must also be paid on the delay. An online payment challan is available on TIN NSDL website for electronically depositing TDS in Form 26QB. Form 26QB serves the dual purpose of being a challan and a statement of detail of payment made. What many deductors do not understand is whether the payment of taxes online is done first or the filing of the Form 26QB. It is clarified that TDS payment can only be made online, either instantly by the deductor himself while filing Form 26QB or at his convenience on a subsequent date by visiting authorized banks or through net banking. This is done by filling up the requisite details while filing Form 26QB and choosing either of the options. In the case of subsequent payment, deductor must save the acknowledgement and ensure that his PAN and PAN of the seller must be correctly keyed in. As a prerequisite, the permanent account number (PAN) of the seller must be always collected and verified with the original PAN card by the buyer. Besides the PAN, buyers must exercise extra caution while reporting the sale value correctly, since TDS is auto-calculated on it by the system. What if one misplaced the acknowledgement slip for payment through bank branches? Although there is an online option to retrieve the acknowledgement slip, it requires mentioning of the acknowledgement number and details of PAN. If one has not noted it, such a deductor may have to approach the jurisdictional assessing officer. So be careful with noting these details. Like any other TDS transaction, a TDS certificate must be issued to the seller by the buyer in Form 16B within a period of 15 days from due date of deposit. If the TDS returns in Form 26QB is filed beyond the due date as belated returns, the buyer needs to pay a late filing fee and interest same time, or else will face notice from the department. CPC-TDS has also enabled the online functionality for correction in Form 26QB. However, committing an error in quoting the PAN or other important details in the online form can cost you time and effort as there is no online mechanism for rectification of errors, but you may have to contact Income tax department of your jurisdiction. This is one main issue that has not found an easy remedy till date. Buyers must exercise caution while paying for the property purchased from NRI. The procedure and rate of TDS will be different and not covered by Section 194IA. 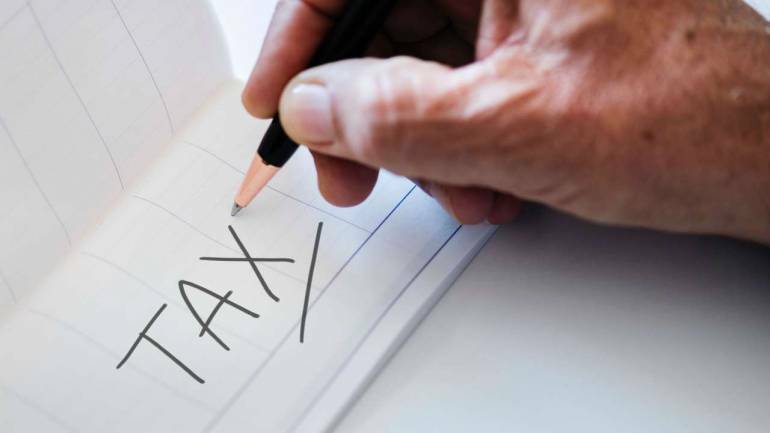 A different section 195 requires a higher rate of a tax deduction if the NRI is not able to obtain a certificate for lower TDS deduction from the income tax officer. In case there is such a certificate, it must be validated and then lower rate of TDS has to be deducted. Not just that, but the buyer is required to obtain TAN and file this in Form 27Q online. While the above matters concerned buyers, resident sellers have to worry about the blockage of their money throughout the year, even in cases where they plan to reinvest in another property. The TDS amount that is deposited with the government is only refunded upon filing of the return, when an exemption has been claimed. An error in filing of Form 26QB can cause the seller undue hardship, where TDS although deducted from payments made cannot be refunded back until Form 26QB has been corrected.